Our Baby Girl is Home! 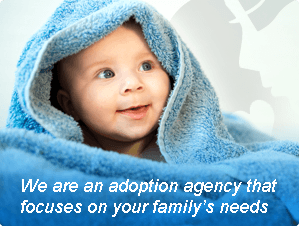 We recently adopted our baby girl through Adoption & Family Support Center. They were amazing to work with! Every staff member was supportive, kind, helpful and quick to respond. We never had to wait for an answer to our questions…someone was always available and happy to help. Adoption can be a very stressful process and working with the Adoption & Family Support Center minimized that stress for us. We also love the way they care for our birth mother and make sure that she has everything she needs. They are an outstanding agency! The lawyer that was provided by the agency for finalization, Mr. Price, and his staff, were so friendly and efficient too! Thank you AFSC for helping us to match with our amazing birth mama and adopt our precious little girl. You made our dreams come true!